Separating from your spouse can feel like an incredibly lonely experience. The emotional and physical bond with your life partner has fractured beyond repair. This means the person you likely turned to for comfort in the past is not someone who can help you now. Even if you have children, they are going through their own unique experience from your own trauma. There is also the reaction of the community, your friends, and your family members, which can range from appropriate, to silent judgment, to explicit judgment. Just because you feel alone, does not mean that you have to be alone. If you have a healthy relationship with family members and friends, use them as a support system when you separate from your spouse. There are several emotional and practical reasons why this makes sense. Your family and friends are familiar. Have the conversations you need to have with them. They know you and have seen your struggles and triumphs. Their presence can provide you the warmth and understanding that you desperately need. You might consider living with family members. Couples must live separately for at least a year before the spouses can obtain a no-fault divorce. This separation can be marked by significant expenses, which include a new rent payment, spousal or child support, and attorneys’ fees. While it is not ideal to stay with relatives as an adult, this can save you a lot of money. Your family can facilitate visitation. If your custody or visitation has been limited for any reason, courts can consider appropriate third parties for the purpose of supervising visitation. If you have an appropriate relative, this person can help you avoid the expense of a kids exchange service for visitation. Your family can be caretakers for children who are not school-aged. Daycare can be unaffordable for some people, costing around $1000 per month at a lot of places. 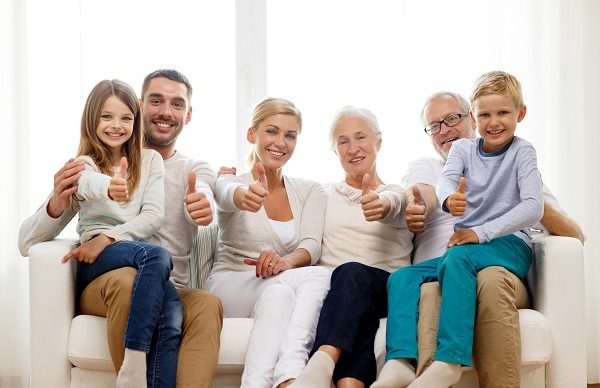 Offering appropriate relatives to serve as caretakers for your children while you work not only saves money but will impress upon the court that you have created a plan to care for the child. Separations and divorces are inherently lonely actions; however, you do not have to be alone. Let New Direction Family Law stand by you. Our attorneys are intelligent, driven, and compassionate. We want to help you get to the other side of this traumatic experience. We proudly serve Wake, Johnston, Durham and surrounding counties. 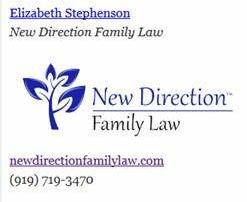 Call New Direction Family Law at (919) 719-3470 to schedule a consultation or visit us online at our website.